The Xiaomi Mi 8 Lite Dual SIM delivers a mind-blowing performance. It sports a large 6.26inch FHD plus screen that gives you a fantastic display, providing you with entertainment like never before. This smartphone also features two powerful cameras that let you capture share-worthy pictures with ease. It features an advanced Qualcomm Snapdragon 660 AIE Octa-Core processor that offers best-in-class speed and efficiency. The 6GB RAM lets you complete your tasks smoothly without any lags. With 128GB internal storage, you can easily store all your captured pictures, videos, applications, games, and more, all at one single place. This mobile includes a 3350mAh battery for long hours of trouble-free use. Furthermore, it has support for the QC3.0 quick charging function that saves your precious time during busy days. The rear fingerprint sensor and the AI Face unlock feature makes the whole process of unlocking your smartphone, a piece of cake. All the more, this top class smartphone supports dual-SIM functionality and has 4G LTE connectivity for incredibly fast internet browsing. This smartphone is elegantly designed and comes in a cool midnight black finish. 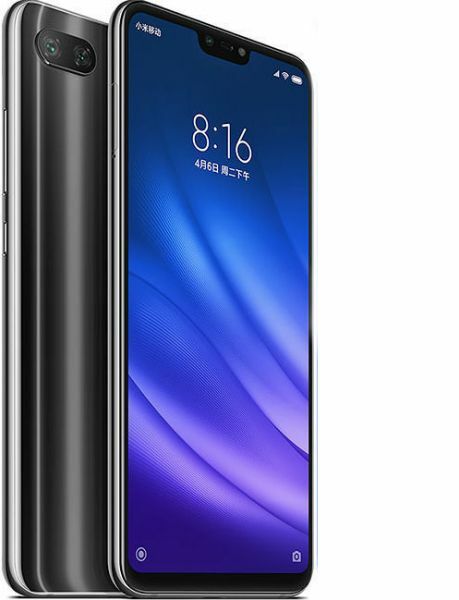 This Xiaomi Mi 8 Lite mobile phone is engineered to deliver a top class performance. It is driven by an incredibly powerful Qualcomm Snapdragon 660 AIE Octa-Core processor that lets you run high-end applications and games with effortless ease. With 6GB RAM, this smartphone ensures you of an outstanding performance while running applications, flipping through menus, switching between browser tabs, and more. The 6.26inch FHD plus display of this Xiaomi Mi 8 Dual SIM smartphone is perfect for gaming and streaming. It delivers high-resolution pictures at an incredible resolution of 2280 x 1080 pixels and 403ppi, giving you a top class visual experience. This high-end smartphone comes with 128GB internal memory that offers ample space for your applications, games, pictures, and more. Enjoy professional-grade photography with the Xiaomi Mi 8 128GB mobile phone. It boasts of two incredibly powerful cameras to help you capture brilliant shots every time. The 24MP front camera, with 4-in-1 Super Pixel technology, lets you capture those special moments with your friends and loved ones, even in low light. The 12MP plus 5MP rear camera, with Dual Pixel Auto-focus functionality, is ideal for shooting excellent pictures with high-resolution. This Xiaomi Mi 8 4G LTE smartphone comes with a built-in rechargeable 3350mAh battery for long hours of trouble-free use. Moreover, it supports QC3.0 quick charge technology that lets you charge your mobile phone in a quick time. With dual-SIM functionality, this smartphone offers you the flexibility of using two mobile carriers at the same time. The 4G LTE functionality offers you blazing fast internet speeds so that you can live stream videos, download songs, upload videos, and a lot more. This Xiaomi Mi 8 Lite mobile phone is designed for ease of use and will give you an enjoyable user experience. The rear fingerprint sensor coupled with AI Face unlock functionality makes the whole process of unlocking your smartphone, safe and hassle-free.